Christine Mallinson is Professor of Language, Literacy, and Culture, Director of the Center for Social Science Scholarship, and Affiliate Professor of Gender and Women Studies at UMBC in Baltimore, Maryland, US. An expert on language and educational inequality, Dr. Mallinson’s interdisciplinary and collaborative research comprehensively examines language as a socially and culturally embedded phenomenon and seeks to dismantle notions about cultural and linguistic difference in ways that empower communities while informing policy. Her applied work addresses some of the most chronic issues that contribute to educational opportunity gaps in the U.S. — such as the acquisition of literacy skills and in student-teacher communication. 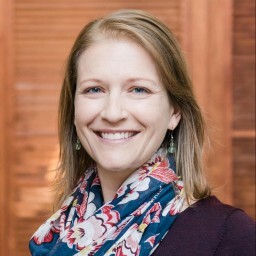 She is the co-author of Understanding English Language Variation in U.S. Schools (2011) and We Do Language: English Language Variation in the Secondary English Classroom (2014) and is the co-editor of Data Collection in Sociolinguistics: Methods and Applications (2nd edition, 2018) and Rural Voices: Language, Identity, and Social Change across Place (2018). She currently is chair of the Ethics committee of the Linguistic Society of America and serves on the editorial board of the journals American Speech, Language & Linguistics Compass, and Voice & Speech Review. More information is available on Dr. Mallinson’s website <christinemallinson.com>.